Nine. That is the number of four and five-star recruits the University of Miami men’s football team signed last year. Nine. The 2014 Miami Hurricanes recruiting class was ranked 12th in the nation and third in the ACC behind FSU and Notre Dame. That number was surely set to increase in the years to come. But the unfortunate happened. Miami went 6-7 last season, losing their last four games, including yet another bowl loss. So the dominos fell in one direction, and the recruiting cycle was hurt in the process. There came a point in the minds of some recruits when the U became a distant dream, and so they walked away, thanked UM’s coaches for their time, and went elsewhere. That’s happened on multiple occasions so far in this recruiting period for Miami, more recently on Sunday morning, when four-star running back Jordan Scarlett de-committed from the Canes and took his talents to Gainesville. As it stands, Miami’s current recruiting class is ranked 28th in the nation and sixth in the ACC, with just five four-star recruits. However, Miami has faced adversity before, and those who have stuck with the Canes and rejected that offer from FSU or Georgia are the ones who truly believe they can build something special. 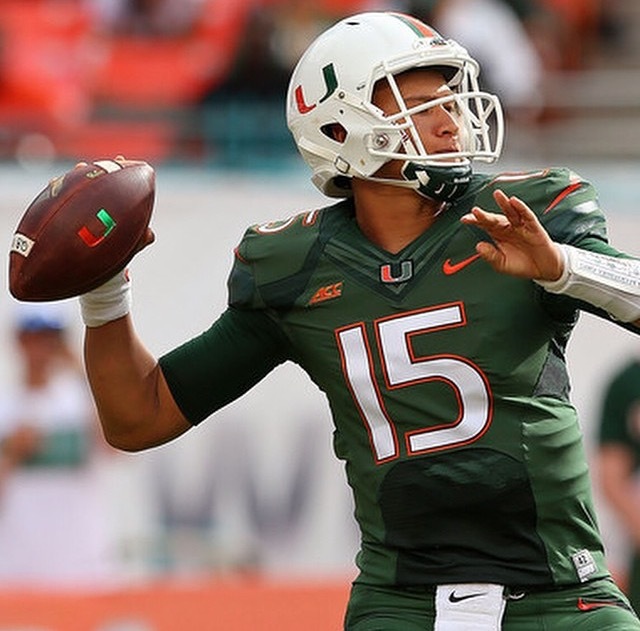 Without question, the biggest contribution was made from ACC Rookie of the Year Brad Kaaya. Kaaya led the ACC in quarterback rating and excelled beyond the expectations of so many analysts. The young California native is now the face of program, and he is one of the main reasons why Miami was able to salvage their five four-stars this year. Another offensive weapon, Joseph Yearby made a case to be the No. 1 running back next year with his explosiveness with the ball. With 86 carries for 509 yards and a touchdown last season, Yearby has cemented himself as a dynamic force that will open up abundant opportunities for OC James Coley. On the defensive side of the ball, five-star Chad Thomas from Booker T. High School was able to show glimpses of what he will bring to the defensive line next year. The All-American may currently be the best player on that defense, and with a full off-season to train, he’s expected to impact the field. Of course, other key players from that 2014 class have made their own contributions to the team, like Braxton Berrios, who developed on-field chemistry with Kaaya as the season progressed. Trevor Darling was another player who came in during injuries to both Taylor Gadbois and Kc McDermott and provided Kaaya with much-needed protection. And those who didn’t play much or at all this season, like Demetrius Jackson, Trayone Gray and Darrell Langham, have all gotten bigger and faster since the first day of practice. Those three players have the ability to solidify their roles on the roster come training camp. So who will make those contributions from the 2015 class? 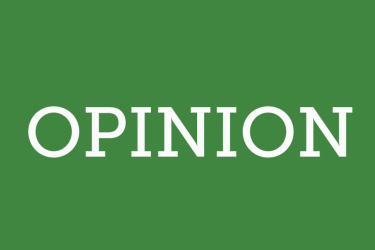 There aren’t a wide variety of players that one can simply choose at random, and the argument of “quantity over quality” isn’t valid either. But this class does have something special. Although it’s a small class, most of the four-stars currently committed and enrolled have been extremely vocal about their feelings toward the U. The loudest of them all is Lawrence Cager. After committing to the Canes during the Army All-American game, the wide receiver out of Calvert Hall immediately gave Miami a glimpse of what he brought to the table on a 62-yard touchdown, where he gave the fans a slick dance in the end zone. However, it’s Cager’s off-field noise that’s being heard the most. He refers to himself as “Coach Cager” because he feels like a coach when he’s trying to get other players to come play for Miami. Cager is constantly on Twitter contacting recruits who are in between schools, and he always has motivational rants to get fans back on the bandwagon. Cager is the type of player who will be loud on and off the field, one of the key traits of a good leader. From East Coast to West Coast, offensive tackle Bar Milo is another player who is extremely committed to his team. For those who haven’t seen his highlight tape, do yourself a favor and be impressed. Milo is a former teammate of Brad Kaaya at Chaminade High School, and he is the prototypical offensive lineman the Canes need. Taylor Gadbois is known for his toughness, but Milo will likely outshine him next season. Milo, a six-foot-six, 270-pound lineman, was ejected from a basketball game just a few weeks ago for body slamming an opponent. Picture what he would do to anyone who lays one unsportsmanlike finger on Kaaya. Milo is also big on Twitter. After Scarlett’s de-commitment, he tweeted out: “I’m not even phased. If you don’t want what we are about, then you are more than welcome to watch our success instead of being a part of it _”. 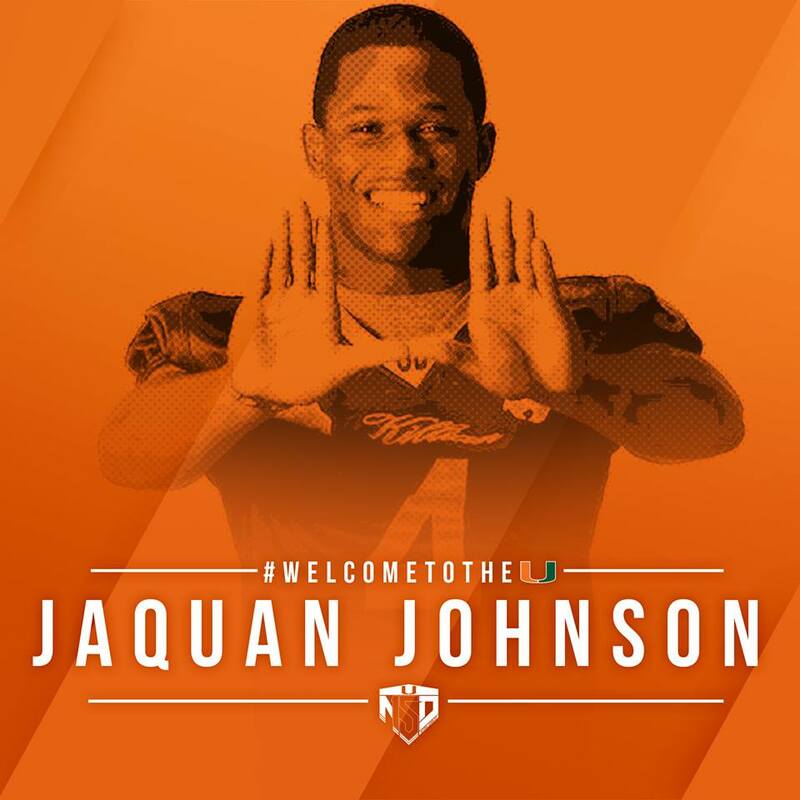 Miami’s best two commits, however, are both from Miami-Dade County, running back Mark Walton from Booker T. and safety Jaquan Johnson from Killian. Walton has been committed to the Canes for almost two years now. His love for the school and for the city of Miami is what led him to wear the U on his helmet. Walton will have to compete with Joseph Yearby, Gus Edwards and Trayone Gray for playing time, but with the help of his former head coach and current running backs coach Tim “Ice” Harris, Walton has the same amount of opportunities as any of those players. 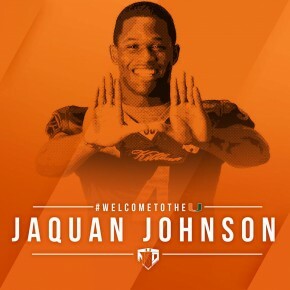 As for Jaquan Johnson, he may very well be the best player in this class. Watching him in high school was eye opening. His strength, speed, intelligence for the position and athleticism will surely give him the amount of playing time he desires, especially with the late-season struggles the Hurricanes had at that position. When it comes to Miami football, all hope is not lost, unless it’s players who maintain it. And as it stands, this 2015 class is ready to make a statement.